On this page we remember U.S. Cadet Nurses who have passed on and where they received their training in nursing. If you are a daughter, son, niece, nephew, grandchild, other relative, or friend of a deceased U.S. Cadet Nurse and would like to include your loved one on this page, please contact us. 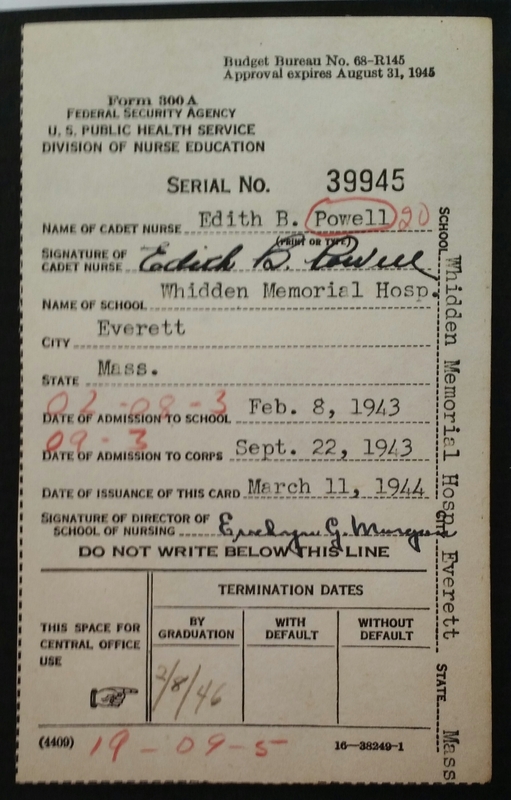 Edith graduated from High School in 1942; she was 18. Most of the boys in her class had left school after Pearl Harbor was bombed. She tried several jobs, but wanted to be a teacher. With no money for school it was not possible. A friend suggested nursing school with free room and board. She enrolled February 8, 1943, at Whidden Memorial Hospital Nursing School in her hometown of Everett, Massachusetts. 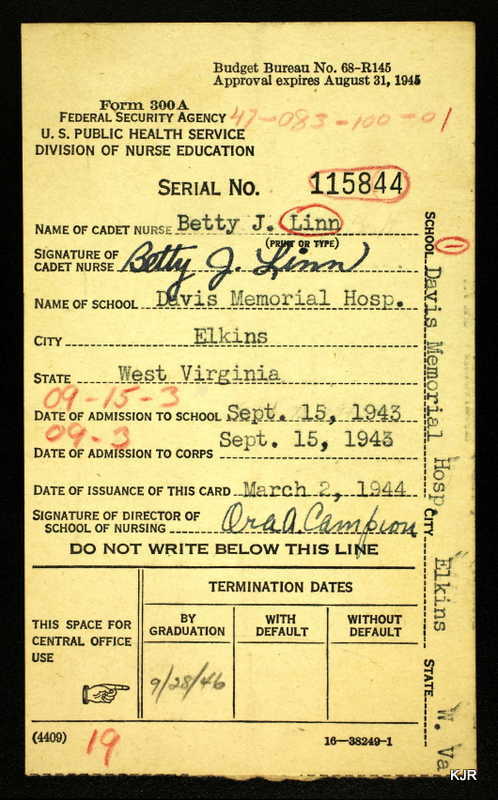 In September 1943 she became a Cadet Nurse when her nursing school became part of the government program expediting the nursing course from 36 months to 30 months. The nurses were also paid eight dollars a month. When she was a senior nursing student in December 1944,she was assigned to Camp Edwards on Cape Cod, Massachusetts. There she worked at the Convalescent Hospital. She cared for American servicemen and German prisoners of war. The camp had 2500 German prisoners at any one time. The prisoners in the beginning were mostly German pilots who did not believe that Germany was losing the war. Near the end of the war many of the prisoners in the hospital were German boys of age 15 and 16. War supplies such as blankets and robes, socks and towels began to run short. Due to the Geneva Convention rules, the German prisoners were given the supplies first; many US servicemen went without. By the end of the war 5000 German prisoners had been cared for at Camp Edwards. Returning US servicemen were processed into the camp for care before discharge. By 1946 12,900 US soldiers had been through the hospital. The average age of the nurses there was 19. They worked 70 hours a week. After the war Edith married and settled on Cape Cod, continuing her nursing career as a head nurse in a local hospital. She passed away at age 94, extremely proud of her wartime service. I am writing this on behalf of my aunt, Lois Rauch Adams. She was born in Palmyra, Pennsylvania in 1927 and went to Polyclinic Hospital. She joined the U.S. Cadet Nurse Corps, but never actually served [in the military] because the war was over before she graduated. She was a wife of a Navy pilot, and traveled and worked around the world. Her recent work was in Albuquerque, New Mexico, where she and her husband retired. I followed in her footsteps and also became a nurse. Passed away September 28, 2018. Assigned to Fort Devens, Ayer, MA, April 1, 1945, as a senior cadet nurse. Married Navy commander MJ Ahearn. 7 children. Passed away at the age of 95 after 71 years of marriage. Interred National Cemetery, Bourne, Mssachusetts. Margaret Stapleton Carlson passed away suddenly with family members by her side. She is survived by three children, James Carlson (Annette), Jean Carlson, and Kay Yoshida (Roy), and two grandchildren Jaimie and Jessica. Margaret began her nursing career as a member of the U.S. Cadet Nurses Corps, and graduated from the University of Minnesota School of Nursing in 1947. She also held a Masters Degree in Education. In Hibbing, MN she worked for the St. Louis County Health department as a Public Health Nurse, and as a Private Duty Nurse. In 1966 following the death of her Husband Kenneth, she relocated her family to the Twin Cities area and joined the Anoka-Hennepin School District where she worked as a School Nurse and Healthcare Professional for 25 years until her retirement in 1991. 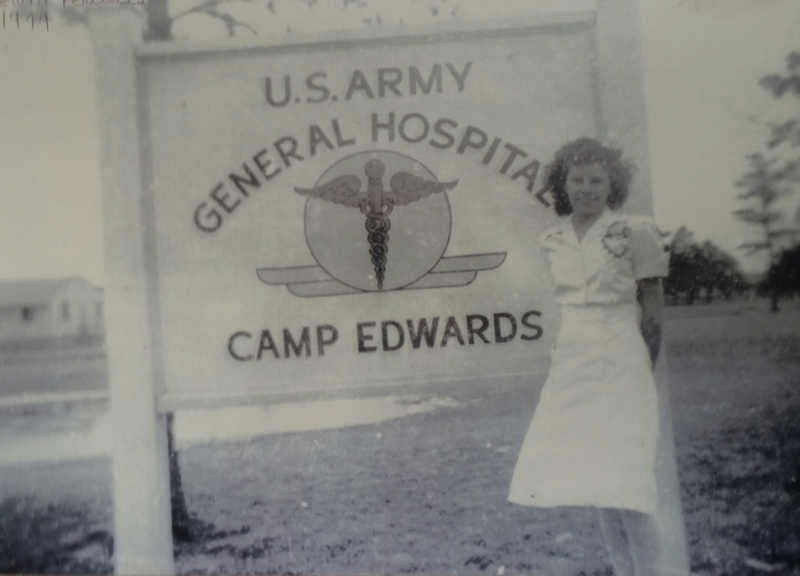 I was a U.S. Cadet Nurse in 1944 and 1945 and completed my nursing at Fitzsimmons Army Hospital in Denver, Colorado (1945). A group of us VA nurses contacted as many as we could and got a bill passed in Congress that allowed nurses that worked in V.A. or government hospitals to add the years of service in Cadet Corps to their retirement -- if they were employed by federal government. We were invited to attend the 50th anniversary of Cadet Nurses in Washington, D.C.
We did this before computers, but were able to contact many V.A. nurses around the country. I am Elisabeth A. Leasure, daughter of Cadet Nurse Evangeline L. Angel (Whitley). I'm entering my mother's cadet nursing information on this site on her behalf. My mother passed away Sept 5, 2013. Many knew her as "Angie" or her last name, Angel. She absolutely loved being a nurse and was so very proud to have been in the cadet nurse program at Deaconess Hospital in Evansville, Indiana. She went on to earn her Bachelors in Nursing at University of Evansville, her Master's Degree in Public Health from the University of Michigan, and her PhD in Health Education from Florida State University. She retired from the Center for Disease Control in Atlanta, GA, in the 1990's and moved to Gainesville, GA, where she volunteered to help shut-Ins. Though she passed away on December 22, 2014, Mary was a graduate of Reesville High School's Class of 1941 and received her RN Degree from Bethesda School of Nursing, Cincinnati, OH in 1947 where she served jointly in the Cadet Nurse Corps from 1944-47. She completed her degree in Public Health Nursing from George Peabody College and mission studies at Scarritt College for Christian Workers, Nashville, TN. Following her training and start of nursing duties in Nashville, she was married on June 6, 1953, and moved to West Virginia where she and Marvan raised their family. There, Mary completed a 41-year nursing career that included, among others, public health nursing care in a number of counties and rural communities, duties as a Maternal and Infant Care Nurse, and, in her later career, the evaluation of nursing home care for the State of West Virginia. My mom graduated from West High School in Columbus, Ohio, at 15. She had to wait 3 years to join the Corps. By the time my mother joined the Cadet Nurse Corps on October 2, 1944, the quota restricting the enlistment of American African women to 56 enlistees had been lifted. She trained at City Hospital, now Metro, in Cleveland, Ohio. She completed her training April 2, 1947. Mom worked in psychiatric and geriatric nursing. In 1978 she earned a BS in Nursing from Ohio University. She retired from the Veteran's Administration in 1988. She passed away June 6, 2016, at 89, in Columbus, Ohio. September 22, 1912 - September 15, 2003. Aunt Margaret was my father's younger sister. She had her 90th birthday on September 30, 2002. That means she would be 104 years old if she survived until today, Monday, June 27, 206. During the early 1900s, she was the oldet daughter of 3 brothers and two sisters. They all lived with their parents in a house near the West Quincy quarries. Remarkably, several other family members, visiting Irish relatives and friends, found a welcoming place and stayed there too, as many others did in those needy, "Great Depression" times. In the late 20s, whle Margaret was still in school, she worked as a page at the West Quincy branch library. After graduation she was employed full time, first at the Norfolk Down's branch and also as a substitute librarian at other locations, as needed. Later she worked on a regular daily schedule at the main library's "Richardson" building in Quincy Square. Until 1943 when she entered the Cadet nursing program at the city hospital she was assigned to the Music Department, which was located in a small room at the top of the library stairs. There she helped establish one of the few libraries with music recordings and equipment available to the public, where machines could be used to listen to records in soundproof, private, auditing rooms. Margaret would give record concerts in the evenings with commentary about the musical offerings. She was allowed to travel to the Boston Music Company and research whatever she could find in print, of the many classical and contemporary musical pieces available. The company's helpful employees introduced her to the "gramophone record compilations" which aided in the historical basis she needed to catalog the entire group of recordings. During this time Margaret was hired and continued in her musical interests as the organist at St. Mary's Catholic Church in Quincy, where she gathered a detailed knowledge of church and organ music. As you can guess by the dates above, Margaret entered the Cadet Nursing program rather late, and was older than most of her classmates. She was 31 years old. But when World War II happened and her brothers and uncles were entering the Navy and the Army, she felt a need to do something to help out the war effort herself. At her 90th birthday, I gave Margaret several gifts, one was a book entitled, Cadet Nurse Stories, which tells the tales of some of those Corps members who were organized to provide for the urgent need for nurses during World War II. After becoming a nurse, and the war having ended in 1945, Margaret was inspired to go further in her career and became a physical therapist. She trained at Columbia University in New York, helping with the well known Sister Kenny nurses, to rehabilitate polio victims during that devastating epidemic, before the Salk, and other vaccines to prevent polio were perfected. While in New York, she met her future husband, married, and had 3 children. They moved to Hartford, Connecticut, where the family remained while the kids were growing up. During that time she worked as a school nurse and made many friends in the profession and in the community. One of her twin daughters, Claire, born when Margaret was well into her 40s, studied and became a doctor of veterinary medicine, graduating from Cornell University where she met, and eventually married, a philosophy professor. When Margaret retired she continued to enjoy playing the piano and entertained at local nursing and retirement homes, singing, along with her husband, to the old, familiar tunes of the 30s, 40s, and 50s. I'll always rmember her giving me my first book. It was a book of poetry by Robert Lewis Stevenson, A Child's Garden of Verses. I recall this line especially, "The world is so full of so many things, I'm sure we should all be as happy as kings." Margaret certainly made that statement come true in her own life, as so many of her peers did. She was always a special mentor to me. I, too, beame a nurse, graduating from the same nursing school at the Quincy City Hospital, way back in 1954, not very long after Margaret had become a Cadet. And I also enjoy singing at local nursing hoes and other venues, as well as being a member of the poetry group that meets monthly at the Quincy Thomas Crane Public Library. My mother was a graduate of Mt. Sinai School of Nursing in 1946 in the Cadet Nurse program. I am unable to locate her graduation picture and have a question regarding if she used her maiden or married name while in training. I remember hearing a few stories as a child, such as hush hush bridal shower by her classmates in the student resident dorm. A friend of mine, Jeanne Bryner, RN, is an author and is writing a book of student nursing experiences as an anthology. My Mom was a very special nurse and worked at Trumbull Memorial Hospital in Warren, Ohio, for over 40 years and was a very special person. 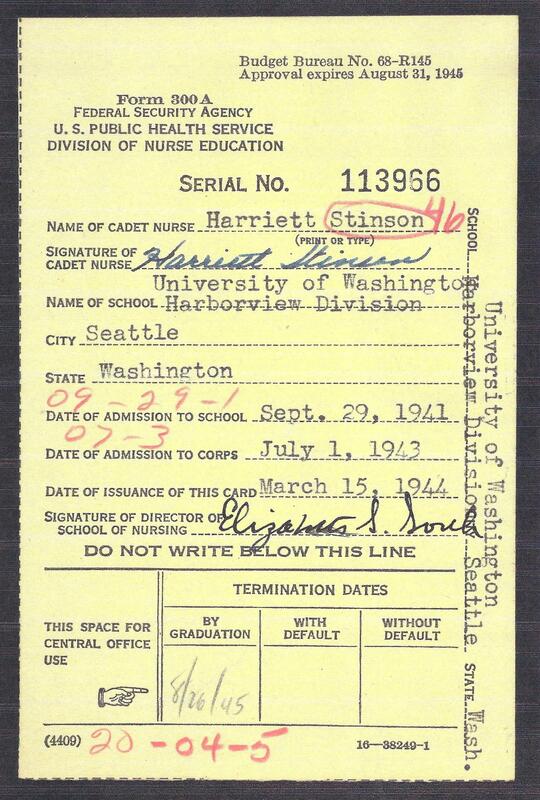 Harriett Stinson Johnston's cousin writes that Harriett passed away on November 2, 2015, at age 92 in Tacoma, Washington. She worked as an RN up until retirement in both the private sector and in Public Health for the State of Washington. He also reports that he has a copy of her #300A form that shows her graduation of 8/26/45. She told him that she was scheduled to enter the Navy but World War II ended. Harriett was again contacted by the Navy during the Korean War for induction into active service. Because her status had changed to married with children, however, Harriett was not eligible. I appreciate the Cadet Nurse Corps for the education that I received and the experiences that it provided in my nursing career. 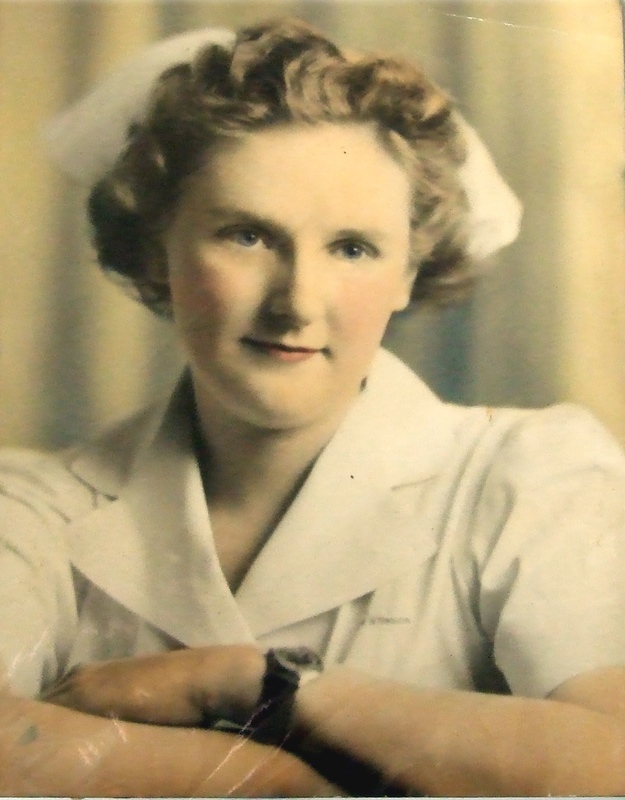 Hilda Louise Booterbaugh, my mother-in-law, served as a Cadet Nurse for three years during World War II. She was born May 11, 1923, in Coupon, Pennsylvania, the middle daughter of Martin and Thelma (Donoughe) Booterbaugh. 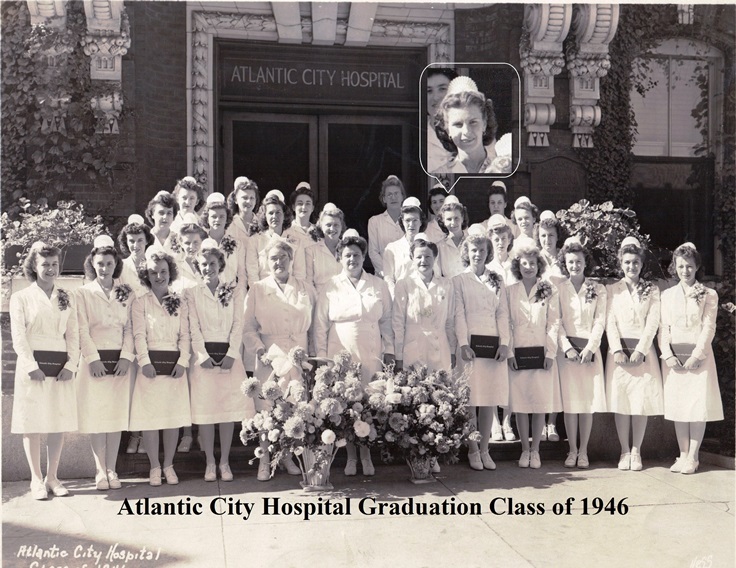 Hilda graduated from Woodbury High School, New Jersey, on June 11, 1941; attended Philadelphia School of Auditing; and graduated from Atlantic City Hospital School of Nursing on May 26, 1946. During World War II, she served in the U. S. Cadet Nurse Corps from July 1, 1943, to May 26, 1946, performing nursing duties at Fort Dix, New Jersey. Hilda married John Stasik of Coupon, Pennsylvania, in 1947, and in 1948 they gave birth to their only child, a daughter Susan, whom I married in 1969. Hilda’s husband-to-be received a Purple Heart for wounds he received on the morning of October 20, 1944, at Leyte Gulf as his amphibious assault craft helped secure the beachhead in advance of the landing of General Douglas MacArthur during the liberation of the Philippines. From her start in Cadet nursing, Hilda went on to receive a degree in public school nursing from Indiana State Teachers College, Pennsylvania, on August 18, 1957. In subsequent years, she pursued graduate studies and attended professional development workshops at Columbia and Penn State Universities. Hilda retired from Greater Gallitzin Joint and Penn Cambria High Schools in Pennsylvania on June 3, 1988, after serving 35 years as a public school nurse. Hilda was a Registered Nurse in both Pennsylvania and New Jersey. She was a member of the Descendants of Civil War Veterans of Blair County, Pennsylvania, and a member of St. Joseph Catholic Church, Coupon, PA. Hilda Louise (Booterbaugh) Stasik passed away on July 28, 1997, after a nine-month battle with cancer and is buried next to her husband in St. Joseph Cemetery, Coupon, Pennsylvania. 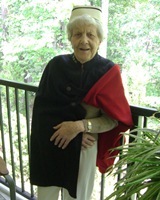 Edith Estelle Whitt Mullins, age 88, a lifelong resident of Cedar Bluff, Va., died Friday, December 30, 2011. Mrs. Mullins was born February 13, 1923, the second of seven children of the late George Dewey and Annie Steele Whitt. Mrs. Mullins was a registered nurse, a graduate of Richlands High School (class of 1942) and The Knoxville General Hospital School of Nursing (class of 1945) where she was a member of the U.S. Cadet Nursing Corps. Mrs. Mullins retired from Clinch Valley Clinic/Medical Center in Richlands in 1988 with over 40 years of professional service. Edith’s nursing demeanor and her life can best be described as one of total unselfishness and caring. She was at her best giving, loving, and serving with compassion and kindness. She will forever be loved and remembered by those whose lives she touched for those endearing qualities. My Mother, Patricia Wegemer Malin, was part of the Cadet Nurse Corp in the 1940s at the Delaware State Hospital. 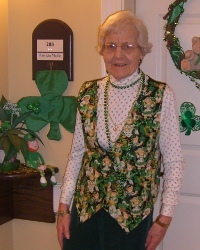 She moved into Assisted Living last year and died unexpectedly and quietly in December 2014. In going through the things in her home, we have found her Cadet Nurse cape, a gray hat, a summer skirt, and numerous photos and newspaper clippings. Also have two binders full of very organized, hand-written class notes she made with incredible penmanship, performance evaluations, and other paperwork - such as a transcript of a radio program in October 1946, where she participated with several other Cadet friends, and a handwritten U.S. Cadet Nurse Corps oath. Thank you, Patricia and Norma, for entrusting me with these most valuable artifacts of service to our country and the nursing profession. I will take care of them. They are of deep interest to me in my work as a researcher as well as my role as daughter of a Cadet Nurse.This gift also reminds me of the need to archive these valuable artifacts of an important part of World War II history. Born September 24, 1925 in Lynn, MA to Thomas M. Wattman and Elizabeth (Beary) Wattman. Educated in the Lynn Public Schools and graduated from Lynn English High School in 1943. She served with the U.S. Public Health Service Cadet Nurse Corps, which was the largest group of uniformed women to serve in World War II, and did her training and work out of Lynn Hospital until 1945. Marian J. Wasnich Klingler was a 1944 graduate of Montpelier High School and a 1947 graduate of Flower Hospital School of Nursing. After graduation in 1946, married Lt. Charles Trimble, home on leave from the United States Air Force. Their children are Charles, Craig, and Carol. Caroline worked private nursing in Johnstown and Memorial Booth Memorial Hospital, Covington, and Baptist Hospital in Lexington, Kentucky. 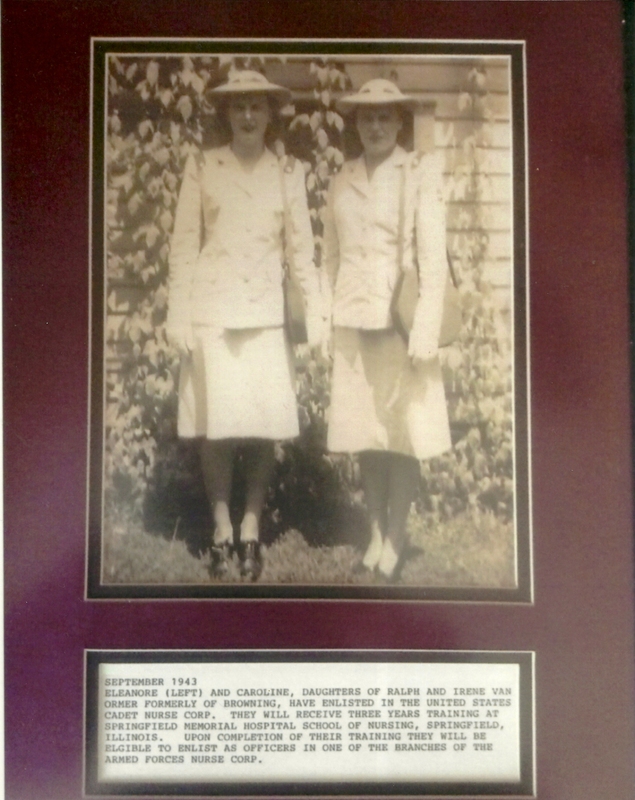 Eleanore (left) and Caroline, daughters of Ralph and Irene Van Ormer formerly of Browning, have enlisted in the United States Cadet Nurse Corps. They will receive three years training at Springfield Memorial Hospital School of Nursing, Springfield, Illinois. Upon completion of their training they will be eligible to enlist as officers in one of the branches of the armed forces nurse corps. 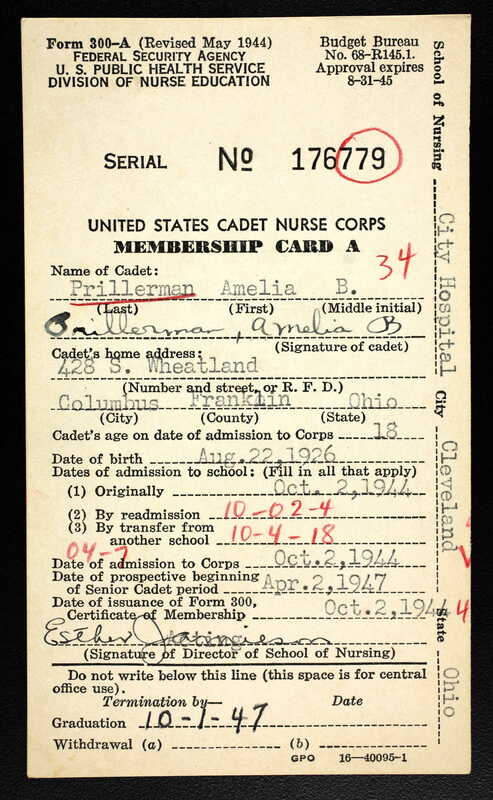 Elsie Ulrich learned of the U.S. Cadet Nurse Corps while a student at Pleasantville High School in Westchester County, New York. She and her sister lived with an aunt, who took care of them after their previous caregiver left employment by their father. Her mother died in childbirth when she was 8, and in those days a man was ill-equipped to care for two daughters. Elsie's childhood was difficult, and she received little encouragement to pursue her dreams. Elsie saw the U.S. Cadet Nurse Corps as both a way to serve her country as was a means to improve her prospects as an emancipated adult at a time when achieving this status was difficult for women. She started Nursing School in 1943 and graduated in 1946. Her favorite specialties were surgical and psychiatric nursing. She continued working in the hospital where she trained until she married. When she and her husband moved to Queens, NY, for her husband's work as an industrial nurse with an airline, she continued her work in nursing at Queens General Hospital. When they moved to suburban Long Island and started a family, Elsie resigned her hospital nursing position to pursue a career as homemaker, caregiver, and encourager to her two children in reaching for a better life for themselves. Through her experience with the USCNC, Elsie had the knowledge to equip her children to work hard and do well in school so that they would be prepared for college. I am husband of Margaret DeSantis Tredici RN (Deceased). She trained at Duquesne University (BS) and at Mercy Hospital School of Nursing Pittsburgh (RN). In 1945 she was a member of the Cadet Nurse Corps at Deshown Army Hospital in Butler PA. At that time I was a pilot in the Eighth Airforce in the UK. We later married. 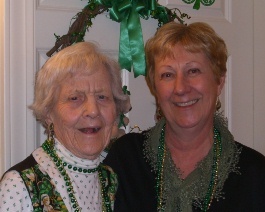 Janet Elizabeth Sylvia Kenahan-Hanrahan, 88, passed away in peace and comfort at her home surrounded by her family. She remained true to her plan of not going gently into that good night over the course of her private but courageous battle with pancreatic cancer. Born in Oak Bluffs, Massachusetts, she relocated to Pawtucket, Rhode Island, and graduated from William E. Tolman Senior High School in 1944. 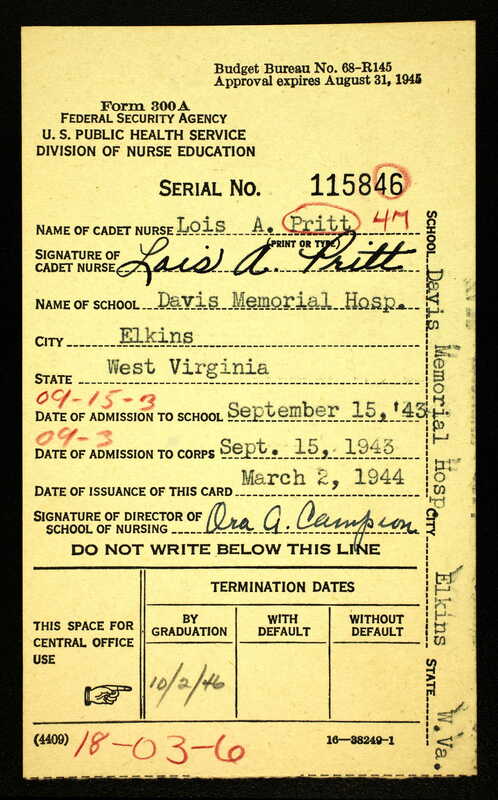 She then joined the United States Cadet Nurse Corps andreceived her nursing diploma from the Rhote Island Hospital School of Nursing in July 1947. Her career as a Registered Nurse spanned five decades of loyal service and compassionate care at Rhode Island Hospital, The Providence Lying-In Hospital; and Woman & Infants Hospital. Forged by the Great Depression and a proud member of the nation's Greatest Generation, she loved her God, her country, and her family. Lois Ruth Steinhour was a Cadet 1943-44 I believe. She was in Frankfort, Kentucky, and originated out of Hamilton, Ohio. Ruth took her nurses RN training at Mercy Hospital in Hamilton, Ohio. We have a few pictures and paperwork from then. In Frankfort she met our father, Charles Rice, who was a medic in Army but for health reasons left the service. I would like to exchange other information from the group that you may have related to this time period or any other information I may provide to you. Please send e mail. Mary Lucich, a life-long resident of Merced, was born July 17, 1916, in Merced, California, to Carlo and Annunziata (Garfagnoli) Stefani, and passed away peacefully at 98 years old on May 19, 2015, with her loving family by her side. The daughter of Italian immigrants from Marlia, Lucca, (Tuscany region), Mary realized the American Dream. Growing up on 20 acres in the Franklin district, where her father farmed tomatoes and sweet potatoes, Mary attended Franklin Grammar School, and Merced High School, graduating in 1934. 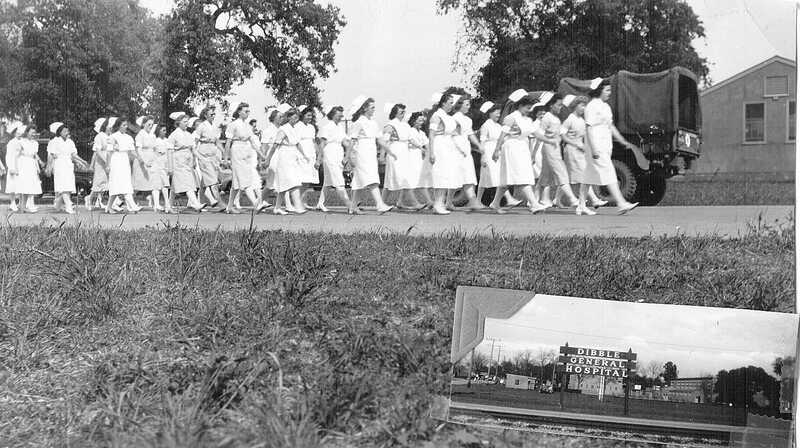 After working at various jobs in Merced, including the cannery and Hartman’s Department Store, Mary pursued her dream of becoming a registered nurse. She received her R.N. degree in 1947 from Mercy School of Nursing in Sacramento, CA, as a member of the U.S. Cadet Nurse Corps. Married on April 11, 1948, to John Anthony Lucich, a local businessman originally from Sacramento, proudly they raised their four children together. Once her children all reached school age, Mary returned to nursing as a very dedicated and passionate home health care nurse with the Merced County Public Health Department, always giving her full attention to caring for her patients. She retired in 1981. A life-long participant of community involvement, after retirement Mary continued as a volunteer nurse. In 1936 she became a member of the Italian Catholic Federation; a charter member in 1959 of the Community Concert Series (Merced Symphony Association) and a board member for many years; and a member of and docent for the Merced County Historical Society, receiving their Letus Wallace Award. As a faithful member of the Our Lady of Merced/St. Patrick’s Parish, for years she taught catechism classes. Recognized by the Merced County Old-Timers Association, additionally, she was a member of: American Legion Ladies Auxiliary, Native Daughters of the Golden West, the Druids, OLM Mother’s Club, and was instrumental in organizing several Franklin School Reunions. For all her accomplishments, however, Mary placed the highest importance in her time spent with family, including her "chosen children" as she referred to them, and European relatives. Her family defined her and she extended her welcoming, warm heart, selflessness, unconditional acceptance, and love to all while igniting her love of travel and sense of adventure in us. I am the youngest son of Elizabeta Stacishin. Elizabeta was a nurse cadet and trained, I believe, in Boston City Hospital. Elizabeta moved to Brasil with the love of her life, my father, an MIT student, and enlisted with the US Army. The war ended before they had to go to the front. Elizabeta passed away after a long battle with cancer. My aunt Eunice E. Smolak was a member of the USCNC. She graduated from Lancaster MN High School in 1941. Following graduation, she entered nurses training at the Grand Forks Deaconess Hospital School of Nursing, in Grand Forks, North Dakota. At commencement exercises held on February 23, 1945, she received her coveted nursing pin and certification as a Registered Nurse. Ms Smolak enlisted in the U. S. Cadet Nurse Corps and was assigned to the Bushnell General Hospital (also known as the Army and Navy Masonic Service Center), a 1,500-bed military hospital on a 235-acre site a mile and a half south of Brigham City, Utah. Most of the patients treated at the hospital were American servicemen wounded in battles in the Pacific theater of operations. A section of the hospital grounds also housed German and Italian prisoners of war. After serving in Utah, she was assigned to the nursing staff at a hospital in Honolulu, Hawaii, (I do not recall the name of that hospital) where she remained until the discontinuance of the Cadet Nurse Corps in 1948. She then began her nursing career with the U. S. Veterans Administration with assignments in Washington, D. C., Shreveport, Louisiana and Minneapolis, Minnesota. I have some of the items she saved from her career as a Cadet. Mom was admitted to the Cadet Nurse Corps July 1, 1943, and attended nursing school at Notre Dame de Lourdes Hospital School of Nursing in Manchester, New Hampshire, graduating in February of 1945. She was unable to attend her class graduation in September of the same year as she had joined the Army at Fort Devins in July and by September was serving at Camp Edwards, Massachusetts. She served as General Duty Nurse in U.S. for about 1 1/2 years in Massachusetts as well as Oliver General Hospital in Augusta, Georgia. December 1946 found her in Caserta, Italy. She worked at the 61st Station Hospital as well as the 317th Station Hospital, serving in Europe for approximately 1 1/2 years. Her last assignment was accompanying U.S. dependents, many of whom were pregnant, by ship back to the U.S. Her military service ended in May 1948 at Kilmer, New Jersey. She was awarded the American Campaign Medal, World War II Victory Medal, and the Meritorious Unit Plaque. She went on to marry, raise four children, then went back to nursing at the Sepulveda V.A. Hospital in California. Sadly, we lost her to Leukemia in January 1991. Dr. Loreen ‘Phyl’ Overstreet, 82, formerly of Fayetteville, died Jan. 26, 2008. She was preceded in death by her husband, the Rev. Dan Overstreet, and son, Marcus Overstreet. She was a professor emeritus with the University System of Georgia. She attended Ouachita College in Arkansas, the University of Georgia, Southwestern Theological Seminary in Texas, and Emory University where she received her master's degree. At the University of South Carolina she received her doctorate of education degree. She also received her nursing degree from the Georgia Baptist Hospital School of Nursing. She began her career as a registered nurse as a World War II Army Cadet. She taught in several colleges and schools of nursing. She was honored with medals and awards for her work including the Individual Service Award by the Georgia Rural Health Association in 1988. Helen Perkins Lucenay was a Cadet Nurse Corps graduate from Providence Hospital, Waco, Texas. Mrs. Lucenay earned an Associate Degree in Nursing in 1947. She shared her love for people, medical knowledge and compassionate touch with many patients. Those settings included: James Connally Air Force Base, private duty, labor and delivery-Hillcrest Hospital, and the Veterans Administration Hospital Psychiatric Unit for many years. In 1978, Mrs. Lucenay furthered her education, earning a Bachelor of Science Degree in Nursing. She was soon named the Infection Control Nurse for the Veterans Administration Hospital until her retirement, February 14, 1996. 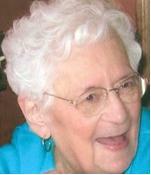 Becky Sumpter, 84, passed away Nov. 25, 2011, in her home at Bonita Creek, Arizona. She was born Jan. 17, 1927 to William Kenneth Compton Nourse and Emily Maud Nourse in Tucson, Ariz. As a young girl, Becky spent much of her time outside enjoying the variety of birds and animals and the diverse plant life the Sonoran desert had to offer. Being home-schooled, she had many hours each day to wander the land in the shadows of the Catalina Mountains. 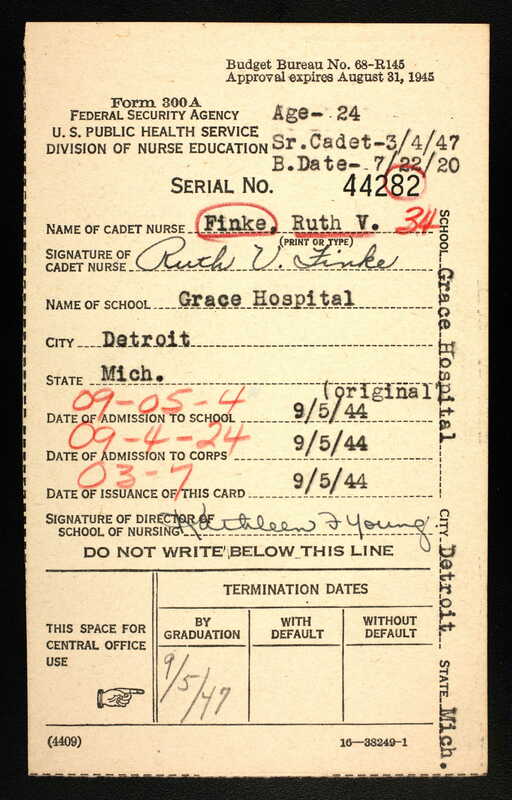 After high school Phyllis Nerager earned her nursing diploma from Mount Zion Hospital as part of the federally funded Cadet Nurse Corps which helped alleviate the severe shortage of nurses after WWII. Upon graduation she worked in several health facilities in California and Arizona. She continued her education earning her AA nursing degree from the College of San Mateo, a BS in Nursing from San Francisco State University, a Masters in Nursing from the University of California, San Francisco (UCSF), and a Doctorate in Nursing Science, also from UCSF. Dr. Stern held faculty positions at California State University at Hayward, UCSF; Northwestern State University at Shreveport, LA; and was Professor and Director of Dalhousie University School of Nursing in Halifax, Nova Scotia, Canada. She joined the faculty of the Indiana University School of Nursing as Professor and Department Chair of Family Health Nursing and was named a Professor Emerita upon her retirement from IU. Phyllis is best known for her research and campaigning on behalf of women’s health internationally. With colleagues in Canada, in 1984 she founded the International Council on Women’s Health Issues (ICOWHI) and served as Council General until 2002. She served as editor-in-chief of the refereed journal Health Care for Women International from 1983 to 2001 and as such was able to help launch the publishing careers of several first time authors. Dr. Stern is considered an expert in classical (Glaserian) grounded theory method of research and has generated several mid-range theories on family crisis situations and the impact of culture on health and care. She was a member of the AAN Expert Panel on cultural competence, served on the editorial boards of Qualitative Health Research and Issues in Mental Health, and was a reviewer for a number of nursing journals. She continued to mentor a number of international students who chose to use grounded theory in their doctoral dissertations. My mother, Donna (Naumoff) Huttner, was a Cadet Nurse. She graduated from the University of Minnesota with a nursing degree and trained at Woods, Wisconsin, along with several friends from Minnesota. Cecilia ("Sis") Marie Muschi Dawydiak attended St. Joseph's College of Nursing under the U.S. Cadet Nurse Corps during WWII, and was proud of her Cadet uniform, her St. Joseph's nurse cape and pin. She fell in love with "Gene," a sailor she met at the USO Club in 1945 and they married in 1951. Sis then attended the University of San Francisco, and became one of 14 pioneering women, all registered nurses, to graduate in 1950; the first class of women. She worked at Maimonides Hospital and in the '50s became a pediatrics instructor at Mt. Zion's School of Nursing under Chair, Ganelle Griffin. When the school closed, Sis, the late Norma Muthe and Marion McDermott, were tapped by Ganelle to start CCSF's School of Nursing in the '60s. In the '70s she received a masters degree from San Francisco State University. I am proud to post my mother's story on this page with so many other esteemed nursing professionals. My mother, Constance Abbey Steed, R.N., was a U.S. Cadet Nurse and a graduate of the Los Angeles County General Hospital School of Nursing in 1945. I remember her stories about training, including the stress of 4 years of nursing college collapsed into 3 years for the war effort, to emergency cases at downtown Los Angeles. She hung hospital blackout curtains at night so that lights could not be seen by the enemy from the Pacific. She described passing California state boards, a 3 day process, in 1945. My mother died in 2004, but I was able to tell her while she was alive that legislative efforts had started to try to obtain veteran's status for the Cadet Nurse Corps. This would be highly deserved. My mother, Dorothy Backman Hampton, was a graduate of Samuel Merritt Hospital School of Nursing and a member of the Cadet Nurse Corps. She passed away in 2009. She was apparently used as a model for articles about San Francisco/ Oakland area hospitals. I recently met with some people at Samuel Merritt University, and they are in the process of putting together something about the Corps as a number of their graduates were members. I have already written to my Senator with little luck. Passed away peacefully on September 3, 2012, at age 85. Mildred Ethel Laird lived a wonderful and honorable life. We are very proud of the part of her history and lifelong career that came from the U.S. Cadet Nursing Corp. Thank you for your service and for the blessing that the Corps gave her, my family and all of the people she helped over her 51 years of service. Mable Evelyn (Lynn) Kitsmiller received her Nursing Certificate from St. Luke's Hospital in Denver, Colorado. She became a member of the U.S. Cadet Nurse Corps in 1944, and served in a Veteran's Hospital in San Francisco, California. In 1950 she married U.S. Navy Captain William Hubert, and together they raised five children as they followed his postings all over the world. When they retired to Colorado in 1972, Lynn volunteered as a pre-op nurse in the local hospital; she remained a hospital volunteer until her death. Sylvia Jimenez Almeyda was born on November 3, 1917 in Clifton, Arizona, a copper mining camp in Greenlee County. Shortly thereafter, Sylvia and her parents, Antonio and Josefa Gonzales Jimenez, moved to Miami, Arizona, where her father found laborer’s work at the Miami Copper Company. After graduation in 1935 from Miami High School, Sylvia worked as a nurses’ aide at the Miami Inspiration Hospital. In 1943, she became a member of the U.S. Cadet Nurse Corp. Within this program, Sylvia enrolled in St. Mary’s School of Nursing & began taking nurses’ training in Tucson, and graduated from St. Mary’s in 1945. By then, her soldier-husband-to-be, Alfred Almeyda, returned from his military service overseas, and returned to his home in Miami. He and Sylvia soon married & began their own lives in California, where they lived until 1986. As a registered nurse, Sylvia established an exemplary record of service in major hospitals in California, and over a period of 40 years, with a speciality in maternity and infant care. Sylvia and Alfred Almeyda returned to Miami, Arizona in 1986 to enjoy a new life in retirement. The couple became active in community service work for the Our Lady of the Blessed Sacrament Catholic Church, the Miami Senior Center, and for the Bullion Plaza Cultural Center and Museum. Alfred Almeyda passed away in 1995. Sylvia Almeyda passed away on December 15, 2011, at the age of 93. My mother, Theo E. Jespersen (at the time) completed the Cadet Corp nurses training program at LA County - USC Med. Center during WW2. I don't know the exact years. She passed away on Nov. 3, 2012. She was always very proud of her service in the Cadet Nurse Corps. She became an RN and worked in Santa Maria, CA, at Sister's Hospital, Marian Hospital, and later became a School Nurse at the local high schools. She married and had 2 sons (last name Openshaw). Barbara Louise Hofstra Almy graduated from Nursing School in 1947 and continued in nursing until she retired from South Shore Hospital Nursing Administration in 1987. She often spoke of her service as a cadet nurse. Barbara would always joke about how she met her husband under a bed at the MGH.The truth is after the war her husband to be was a volunteer orderly at the hospital. He heard the sound of breaking glass coming from a patient's room and went in to investigate.The patient dropped a glass urinal on the floor so he knelt down next to the bed to clean up the glass not realizing Barbara was knelt down on the other side picking up pieces of glass. She said their eyes met and it was love at first sight.They married August 28,1948. As a prank they would tell people their oldest daughter was born August 21st to see how people would react. Shortly later the would tell the truth; their daughter was born August 21st 1949. Two more daughters and a son came later.Barbara retired as the Quality Care Director at South Shore Hospital in So.Weymouth, about 15 miles south of Boston. They bought their first home in Halifax, MA, near Plymouth in 1965. Died February 5, 2010, at age 82. The shortage of nurses was so great, recalls Mary Callahan of her training days at Chelsea Memorial Hospital, "that the students were running the hospitals. The only Registered Nurses on the floor were supervisors. Everyone else was a student and we had 120 beds." The routine of classes and duty in the hospital was demanding, but she acknowledges she may never have been able to pursue a career in nursing without the incentives offered by the government. Following graduation she worked at the Contagious Disease Hospital in Brighton dealing with patients with polio, cholera and yellow fever "and we had one whole unit full of iron lungs" at the height of the polio crisis. Married in 1949, she and her husband Paul moved to Baltimore where she worked at the Sinai Hospital for three years before returning to Foxboro where they would raise their five children. Mary left nursing in 1969 to devote her full attention to caring for Paul, who passed away in 1973. She then went back into the work force full time as nurse manager when the Foxboro Area Health Center opened on Mechanic Street, working there until 1989. She looks back on a rewarding career and a fulfilled life, grateful for the program that helped make it possible and her opportunity to step forward when her nation called. My grandmother, Kathryn Jean Gibb, trained as a nurse at Barre City Hospital in Barre, VT. As a a Cadet Nurse, she was assigned to care for former internees at Santo Tomas, Manila. She was haunted by what was inflicted on these people and spoke very little about her experiences. Some years ago, a memorial wall went up at our local high school with the names of all the graduates who served. I was surprised that she wasn't included. I contacted the sponsors, they did some digging and her name was added. I was stunned to realize that she wasn't considered a veteran! She went oversees as a bright-eyed girl of 20 and came home a sadder, wiser woman. Enlisting in the Cadet Nursing Corp allowed her not only to serve her country, but to flee small town life and step into who she would become, an independent career woman. Such gifts come at a great cost, though, and I feel that she left parts of herself in Santo Tomas-- mainly her optimism, her faith in the goodness of people, her unmitigated joy of life. Afterward, she kept her war experiences tucked in close, like a wounded wing. We didn't press and she didn't disclose. My Grandma Kay passed away January 7, 1995, a veteran of war and of her country's lack of recognition. Chambliss, Ruth H. Andrews, R.N., went to be with the Lord on Monday morning, August 12, 2013 at the tender age of 86. 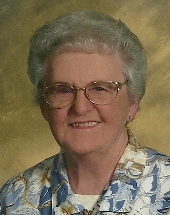 Ruth H. Andrews Chambliss, R.N., went to be with the Lord on Monday morning, August 12, 2013, at the tender age of 86. Affectionately called "Ms. Ruth," her lifelong passon for Nursing began in 1945 as a member of the U.S. Cadet Nurse Corps in World War II, holding the title of Corporal, U.S. Army. She was a graduate of Hackensack School of Nursing, Hackensack, New Jersey, did post-grad work at Children's Hospital in Washington, D.C., and earned her B.S. degree in Nursing from the College of St. Frances, Joliet, Illinois. Her Montgomery work resume consisted of Baptist Medical Center 1967-1976, Alabama Medicaid Associate Director Hospital Program 1976-1986, and Wiregrass Hospice 2000-2005. Nancy Smith Phibbs was born on January 9, 1918, in Linwood, North Carolina. She was the youngest of three children and grew up in High Point, North Carolina. After she graduated from high school she held various jobs and in 1941 she entered a Seminary in Nyack, New York. A year later she began Cadet Nurse training at Memorial Hospital, Charlotte, North Carolina from 1942-1946. Upon graduation she was given the choice of the Army, Navy, or Indian Service. She chose Indian Service as a nurse and worked at both Fort Defiance and Tuba City, Arizona. Nancy considered her work on the reservation the highlight of her nursing career. In Tuba City, Arizona, she met and married George A. Sakiestewa in 1947. In 1948 her only child Ramona Sakiestewa was born. Nancy continued her nursing career in Albuquerque working at the Indian Sanitarium, St. Joseph's Hospital, Presbyterian Hospital, the Veteran's Administration Hospital, and the Kirtland Dispensary. Elainne took training at the Alexandria Hospital School of Nursing in Alexandria, Virginia. She traveled from her hometown of Waynesboro, Pa. in 1944 and graduated in 1946. She stayed in Alexandria where she worked in the hospital ER and married, of all people, a fireman. She started a family of 3 in 1949 and remained in nursing for 35 years. Elaine also volunteered in the Alexandria Fire Dept. Ladies Auxiliary which was made up of many different talents. The nurses' focus at that time was to provide emergency care "on scene", triage, support for hospital staff called to the incident and rehab for the firemen. They provided training to the firefighters at a time when basic first aid was the only thing available. Many of the ladies who graduated after the war, weren't afforded the opportunity to serve in forward theaters, continued with a purpose, their chosen vocation. 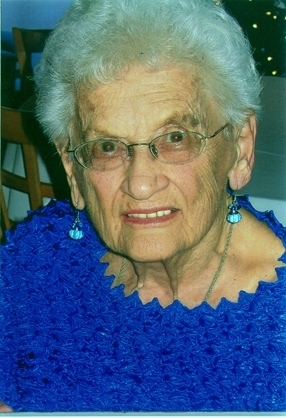 Antonia Dzwonczyk after graduating from Shelton High School in 1942, worked one year in the defense industry inspecting aircraft instrument pivots. Later, she worked as an airplane mechanic fitting and putting wings on a US Navy fighter plane the Corsair F4U. In 1944, she entered the Grace-New Haven Training School for Nurses and then joined the US Nurse Cadet Corps during World War II during the polio epidemic. Her three-year nursing course was rigorous with little free time. Because the war ended, she was not required to go into the service even though she was still interested in joining the Army. A dear friend whom she was planning to enter the service with changed her mind, so she too changed her plans. 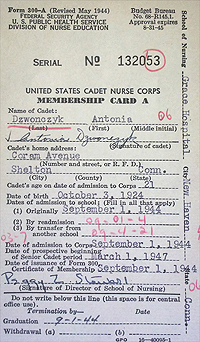 Antonia loved the military connection and the idea of a “good education for life” that the Cadet Nurse Corps represented. Their dreams of becoming something became reality and provided unprecedented opportunities for women entering the workforce. For the first time we received training, textbooks, and smart looking uniforms. In 1947, Antonia graduated from nursing school in New Haven, CT. Antonia worked at Yale-New Haven Hospital, Peter Bent Brigham and New England Deaconess Hospital in Boston, and the US Public Health Service Hospital in Staten Island, NY. Also, she worked as a volunteer school nurse at the Subic Bay, PI-Naval Base, a volunteer nurse at Redwood Jr. High School, Napa, CA; a Psychiatric Nurse at Napa State Hospital, CA, and ending in 1979, with a nurse’s registry for convalescent hospitals taking care of the elderly. Our mother’s most influential moments were working with Florence Blake, author of Essentials of Pediatrics, which led her to specialize in pediatric nursing for the last six months of her nursing education. Another gratifying moment was becoming a surgical nurse under the supervision of Lillian Sholtis, one of the authors of the Manual for Surgical Nursing. Patsy Dean Trainor moved to Farmington, New Mexico, in the 50's and was a nurse for a local doctor. Later when she and her husband Earl were sent to the Reservation in Arizona for work in oilfield, she served as the Camp Nurse. My mother, Avril Joyce Cook Wadsworth, began her nurses training at Baptist Medical Center in Memphis, Tennessee. She then accepted the assignment as a Cadet nurse at Kennedy General in the same city. She had thought about going farther...wanted to serve in the Army overseas. However, the war was over by the time she had her R.N. degree, and she married a handsome soldier, Norman Milton Wadsworth. She was employed at Baptist Medical Center, supporting Norman (my dad) while he pursued his studies in optometry. The picture I am sharing was their engagement picture. She was very proud to serve as a Cadet! My mother, Bernice Therese Collins, was in the United States Nurse Corps. She studied at Hotel Dieu in New Orleans, Louisiana and became a Registered Nurse. Unfortunately, Mama passed last Wednesday night 5/14/14 here in Baton Rouge, LA. Passed away on March 1, 2014. Dorothy J. Braun (Turner) was the first cadet nurse trainee from Ford Hospital, Detroit, Michigan, to be accepted by the Navy into US Naval Hospital, Seattle, Washington. She was 21 and finished her last 6 months of training in Seattle. While there, she met and subsequently married Richard E. Turner, a Pharmacist Mate FC, who was heading off to finish medical school in Ann Arbor, Michigan. They married in October of 1945. My parents settled in Eugene, Oregon, after his graduation from University of Michigan and residency in pediatrics. Dorothy maintained her nursing license and continued to work in the field until her retirement in 1989 from the University of Oregon's Student Health Center. Jeanie Blakesley Good began her nurse's training in 1945, right out of high school. She started at Montana College in Bozeman and continued her studies at Deaconess Hospital in Billings, which was followed by affiliations with various hospitals in Montana and Wyoming, where she learned different nursing skills. Cadet Nurse training meant 3 years' round-the-clock training, day and night, including summers. Jeanie knew that after training was over, she faced two years of service in the Army. "That was my commitment," she said. "If I finished training, then I would have to. And I would have done so gladly. Read more about Jeanie's life in this book by her granddaughter, Heather Evagelatos Robertson. John Martin Harper reported that his mother, June Lois Bergstrom, passed away in 1992 in San Francisco, CA. Ana Marie Baez Bruenger died Monday, March 28, 2011 at Mendocino Coast District Hospital in Fort Bragg. She was born on June 20, 1923 in Mexico City. She was the second daughter of The Rev. Alfonso and Teresa Camargo Baez. Ana Marie came to the United States with her family while she was a child. She attended schools throughout the Southwest and graduated from Menaul School in Albuquerque, New Mexico. She was one of the first Hispanic graduates of the Native American Navajo Nation's nursing program at the Sage Memorial Hospital under Presbyterian auspices in Ganado, Ariz. She worked as a nurse for 66 years. I graduated in 1946 from the New England Hospital for Women and Children in Roxbury, Massachusetts. This hospital has the history of graduating America's First Trained Nurse. Her name is Linda Richards.My dream in high school was to be a nurse. I therefore worked at this same hospital on weekends, holidays and summer vacation. The dietary department was my favorite place.I am one of eight children, and the Cadet Nurse Corps program was a blessing to me.My class had a yearbook that I treasure. It includes pictures and fond memories including cartoons.Our class during training had a dance for service men stationed in Boston. We were closely supervised. The dance was a great success as I met my husband there. He was a sailor from New Jersey stationed in Boston. We raised six children.I'll be 88 in March 2013. In this space we respectfully republish notices of U.S. Cadet Nurse Corps members who are no longer with us in body but will always be with us in spirit.